About a month ago, my husband yelled at our six-year-old daughter, Penelope, for something silly. She wrote in permanent marker on her sister’s magic erase board (these are the exciting things your life will be filled with should you decide to procreate…) Anyway, he was mad that Penelope acted this way seemingly out of spite and so, he scolded her. Nothing over the top, just a yell. A few moments later, her sister, Samantha, came out of the playroom and told me that I better get in there to see what Penelope was doing. 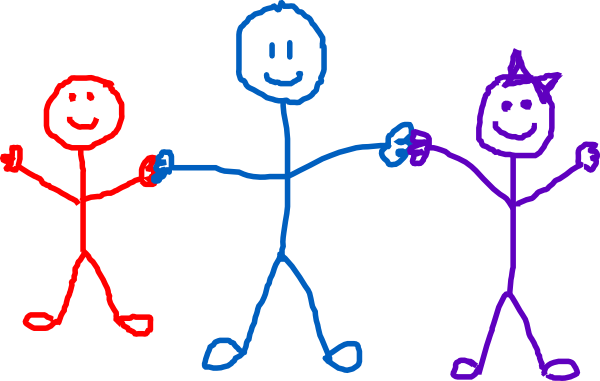 A few weeks earlier, Penelope had drawn a wonderful stick-figure drawing of us holding hands and she taped it to her playroom wall. And now as I stared at it, I saw a huge black X drawn over P’s little stick body. I was stunned. She is six. Could the bile of self-loathing already be present in her little belly? Have I passed on some defective gene that will damn her to a life of never feeling good enough? “What did you do?” I asked her, almost in a panic. She said nothing. She just dropped to the floor and sobbed. Her black hair flowing bouncing up and down with each heave of her chest. I scooped her up and held her tight against me. If I could, I would have shaken every bit of this poison from her. A few weeks later, I was teaching at a local university and noticed a student of mine was visibly upset. Her eyes were rimmed red and her cheeks were brushed with tears. This was unusual for her, she was always chipper and ready with an answer when no one else was. After class, when I asked her what was wrong, she released the flood gates. She had been in a fight with her boyfriend. She was angry with him over what I agreed was a justifiable offense, yet, the boyfriend ended up convincing her that she had done something wrong and he ended up dumping her. “Do you think you had a right to be mad?” I asked her. “So why aren’t you?” I responded. I wanted to tell her that she should never let anyone invalidate her feelings. Who was this shmuck to say what she should be feeling? She should stand firmly behind what she feels and never back away from herself. I wanted to spare her the sixteen years it took me to learn those things. (She is nineteen and I am thirty-five). But how could I? I had people in my life who said those very things to me at her age, and I didn’t listen. Maybe these are things you have to go through in order to get to the other side of adolescence in one piece. In the end, I told her to have confidence that it will work out if it was meant to be. Then, I threw up in my mouth a little at the cliche I had become. There you had it. Penelope was yelled at and her immediate response was to take herself out of the family, to internalize her pain and frustration. My student voiced her anger over something she felt was an injustice against her, and the minute her feelings were met with any resistance, she immediately questioned herself and backed down. How long does it take and how much pain do women have to go through before we start allowing ourselves to stay in the picture? Are we predisposed to X’ing ourselves right out of the equation?